What happens when a musician meets an adorable little pug? This dog who rocks the drums on Metallica Enter Sandman! An all dog heavy metal band is as ridiculous as you'd think. 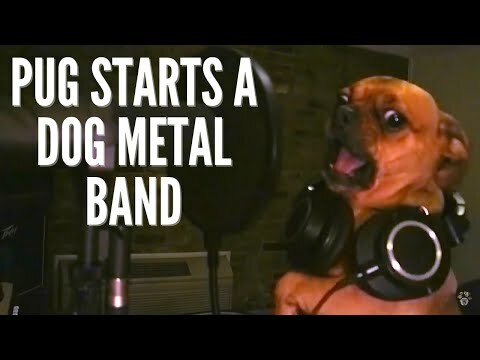 An owner's dogs started a heavy metal band while he was at work one day. They're called "The Bubbas". A dog was rescued from a burning home by brave firefighters in Córdoba, Spain.